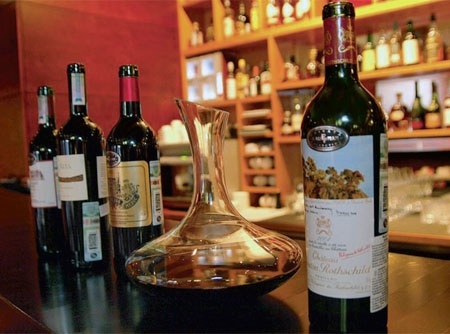 This month’s wine tasting was held at Moscow’s Grand Havana Room (www.ghrmoscow.com), a private cigar club off Slavyanskaya Square. The wines sampled are as follows. Robert Mondavi, the Napa wine legend, passed on this year in May at age 94. His Robert Mondavi Winery had been sold in 2004 to drinks giant Constellation Brands. After the sale, Constellation kept Robert on as “Ambassador for Wine.” In the years before the sale, Mondavi had become disenchanted with the winery’s lowend strategy of producing Woodbridge and Coastal supermarket wines that he felt degraded the winery’s reputation. Constellation apparently agreed because it separated the low-end brands from the premium Robert Mondavi wines. 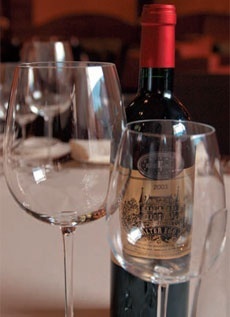 Robert’s original Robert Mondavi Winery in Napa produces high-end Napa Valley wines. You will find nary a sign of the Constellation name or Woodbridge or Coastal on the Robert Mondavi Winery website (www.robertmondaviwinery.com). The Robert Mondavi Private Selection that we tried in this tasting has its own website (www.rmprivateselection.com). Private Selection wines hail from California’s central coast and are apparently the rebranded Mondavi Coastal wines, a slight cut above the basis Woodbridge label. Oregon has made a name for itself in recent years with its whites and Pinot Noir reds. Domaine Drouhin is a venture of Burgundy’s famous Drouhin wine family, now in the hands of its fifth generation. Fourth generation Robert Drouhin, who acquired the Oregon vineyards in 1987, described his dream: “I would like to think that one day people will taste Oregon wines, and particularly our wines, and will say ‘it is really true to the classic Burgundian Pinot Noir. Not a Côte de Beaune, not a Côte de Nuits, but uniquely Oregon.’” For this tasting we tried a 10-year-old Chardonnay, which should be well past the end of its useful life, and our score showed it. The Margaret River is Australia’s premium Chardonnay region. Pierro is one of the pioneers in the area, which was first developed by Italian immigrants. In the 1960s, experts cited the district’s “climate and soil as being comparable to that of Burgundy,” the source of the best Chardonnay wines in the world — Meursault and Montrachet. Historically, the Burgundy districts of Meursault and Montrachet have produced the world’s grandest white wines. Tastes change and Chardonnay is no longer king; France’s Chardonnays have challengers from California to Australia. But there is still something wonderful about one of the great French whites. Lafon is one Meursault’s great estates, and this wine should have been our high scorer. After all it got a Robert Parker 94-95. Mount Mary is a favorite of wine buffs. The Quintet is a Bordeaux blend of Cabernet Sauvignon, Cabernet Franc, Malbec, Merlot, and Petit Verdot, seasoned on new French oak. Wine Spectator gave it 88. Argentina’s Catena Alta makes single varietal wines from its family vineyards in the Mendoza region. This month we selected several well-known staple red wines, widely available internationally, and in Moscow are good value, reliable red wines.